Chuffed to hear that our continued relationship with Fulham FC is bringing more good news, with planning approval being granted for the complete revision of their plans for a new Riverside Stand. Working alongside both the original planning consultants, Lichfields, and project manager Martin Jennings of Venue Consulting who delivered the 2013 permission for redevelopment, we produced a range of AVR verified images and CGI to communicate Populous' vision for the truly unique site. "Our goal for a brighter future for Fulham Football Club, the neighbourhood, our borough and all of London is now at our doorstep. 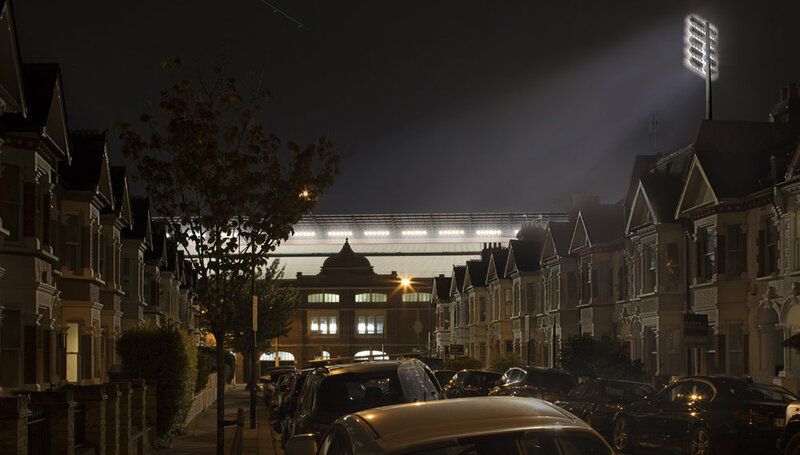 Tonight's news wouldn't be possible if not for supporters and local residents who believed in our vision, so I hope they will join us in celebrating what will be a new and important chapter in the history of Fulham and Craven Cottage. While there are too many people to thank, no one who helped to play a role in this process to date will ever be forgotten." - Fulham Football Club Chairman, Shahid Khan. Glad to be of service Mr. Khan!